Mix this together and store in air-tight container. Mix water, egg and oil together. Add pancake mix. Add more water if you want a thinner consistency. Pour 1/4 c of batter on hot griddle. 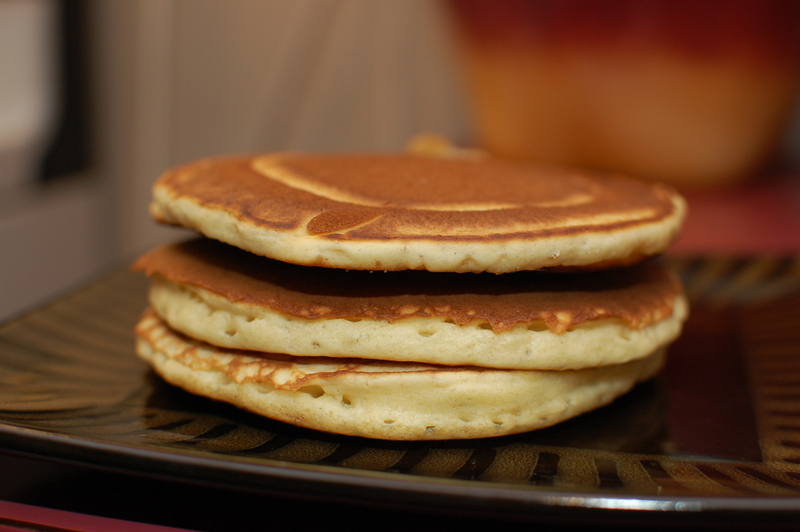 Flip pancake over when top is filled with bubbles. Cook for another minute. Serve with favorite toppings. 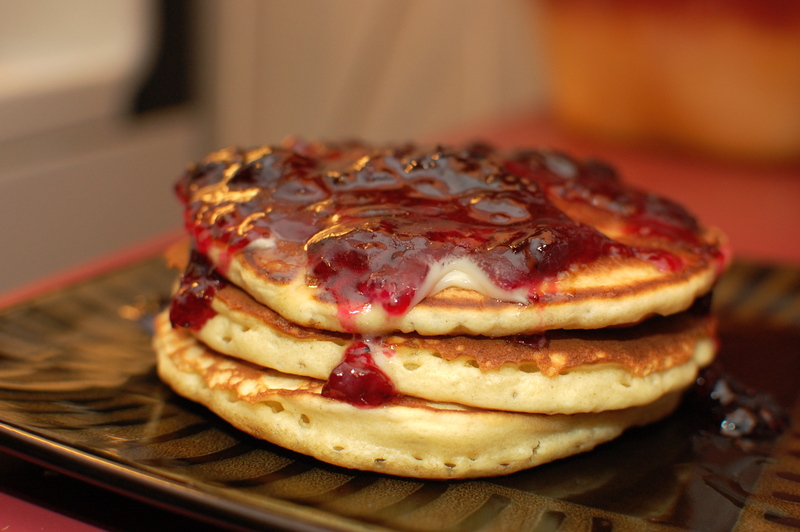 You’ll be seeing this recipe in action if you come to Crossroads’ Youth Pancake Feed in March! I tried it out on my family this morning and they loved them! These really are delicious and I will now be using this mix as my main go-to pancake mix!